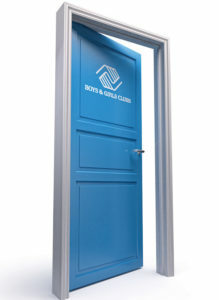 So in 1995, an old firehouse on Buena Vista Street was converted into a Boys & Girls Club. Members of the community donated their time and talent, walls got painted, shelves got mounted, staff was hired and the Main Club site was born and became home to about 75 kids. Seven years later, in 2002 the principal at Roosevelt Elementary School approached us with the idea to pilot an after school program on the Roosevelt site. The Roosevelt Elementary program was so successful that the Burbank Unified School District (BUSD) asked that the program be replicated at six more elementary school sites. The director of that first after school site was Shanna Warren. She’ now our CEO. And that was just the beginning. In the fall of 2004, we added the Deaf and Hard of Hearing D/HH program. Then in 2006 we took a moribund arts program and turned into an award winning Creative Arts program that offered dance, drama, singing and art is several mediums. 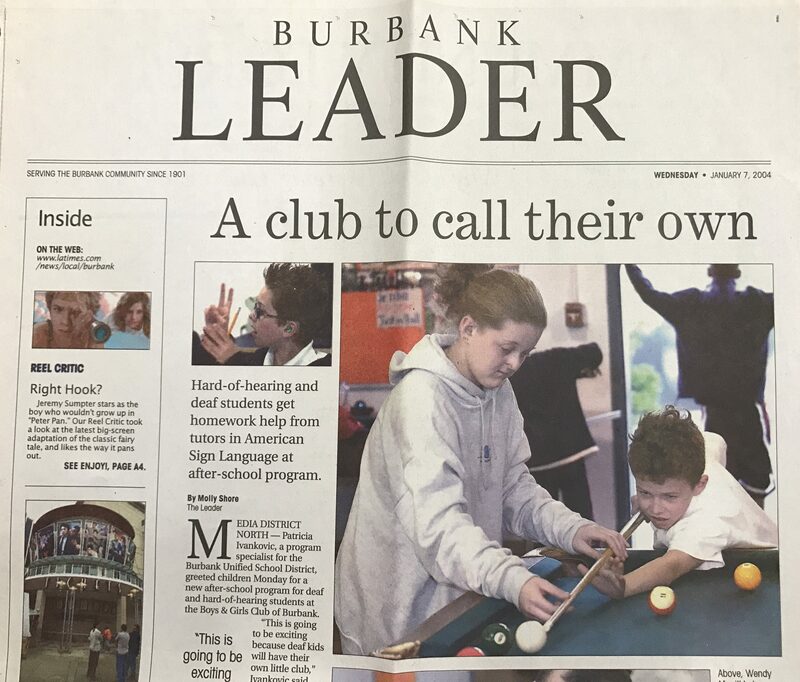 In 2007, our Club and BUSD forged a partnership wherein the Club provided the after school programming at four additional sites. These programs are known as After School Education and Safety Program. (ASES). By 2008, our Club recognized that teens were an important subset of our demographic and put together specific programs for this age group that was free and continues to be free today. As we welcomed a new decade in 2010, we expanded our reach into middle school and watched our membership approach 1000 children a day. In addition, our Deaf and Hard of Hearing program was growing and by 2012 our geographical growth included Burbank, Glendale, Verdugo Hills and Sun Valley Today we have sites at Our Lady of the Holy Rosary, opened in 2013 and St. Patrick Catholic School and Verdugo Hills High School opened in 2014. 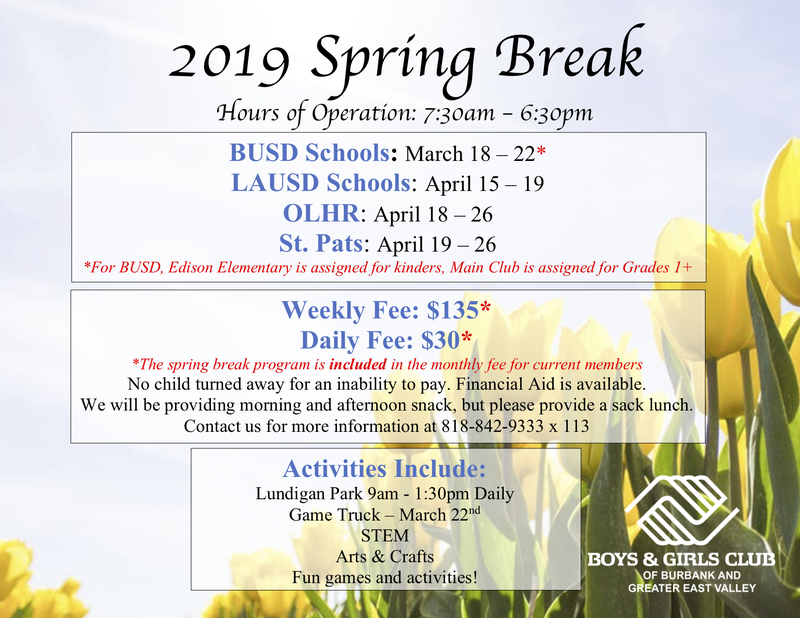 We expanded our summer programs to four locations in 2015 and then in 2016 we added Our Lady of Peace in North Hollywood to our list of sites, bringing the total number of locations to 19. As of the late summer 2017, we added another location to our summer program, increasing the number of locations to 5 and we also brought in the Van Ness ASES site in the Hollywood area, reaching a milestone of 20 sites. 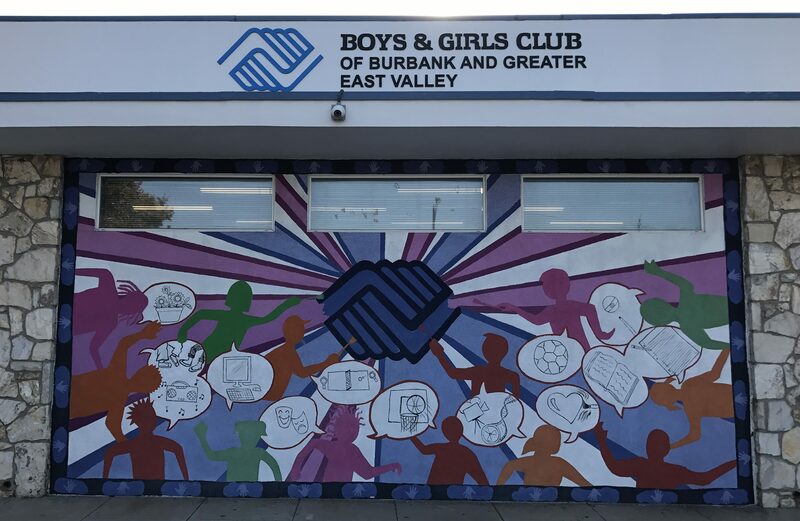 Each new brings opportunities for the Club and yet, at its heart, the Boys & Girls Club of Burbank and GEV is still a place for our (bigger than ever) neighborhood kids to call home.